Who is this Hashtag for? Anyone who is heading out on an adventure over the weekend - you don't need to be a blogger, it's open to everyone. Add this hashtag to your Instagram photographs that feature places you've visited over the weekend - this could be the local woods, the beach, a theme park or the other side of the planet. You don't need to have children to join in either - I hope the hashtag is inclusive to all. This list is not inclusive - I am sure there are LOADS of adventures to be had and anything goes. Why should you add #OurWeekendAdventure to your Instagram photographs? The idea is to build a community of like-minded people who enjoy heading out and about on adventures at the weekend. You can search the hashtag and find photographs and accounts you like and hopefully your photographs will be discovered by new people too. I will personally try and like/comment on every photograph that uses the hashtag too. I'll also pick my favourite photographs that take part and showcase them in a monthly blog post with a link back to your account. We will showcase a photograph every day over on the 'Our Weekend Adventure' Facebook page too. This isn't a requirement but you can follow North East Family Fun on Instagram here. 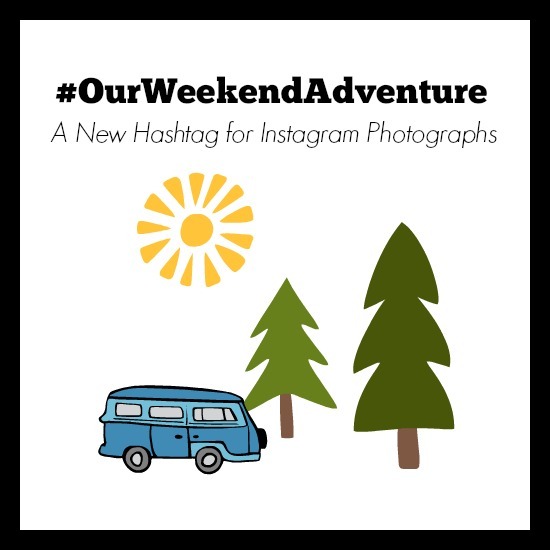 To join in, simply add #OurWeekendAdventure to your Instagram photographs featuring any weekend adventures (you can add the hashtag on any day of the week) - I can't wait to see your photographs. Great idea! Will definitely be taking part!